Interior design king Jonathan Adler and his new husband, Barneys creative director Simon Doonan, better take that honeymoon now. Because Doonan has to get back before the holidays to design Barneys' window displays, and Adler needs to return to open another furniture and decor shop at 304 Columbus Avenue at 74th Street on the Upper West Side. 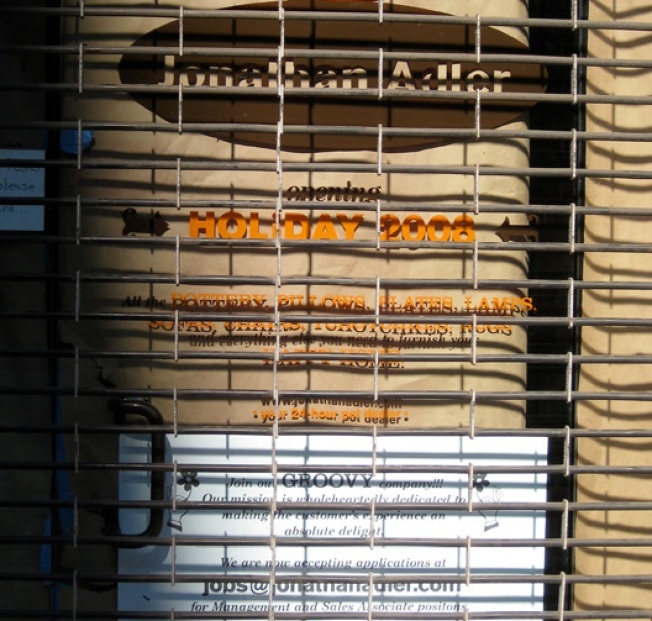 The store will be Adler's fourth in New York City, and is slated to open "holiday" 2008 (which, according to a staffer at the Soho store, might be as soon as November). The man's irreverent and colorful pottery does make a great gift, after all.